Eco-Gozo is a concept which summarises the Government's vision for the future of the island of Gozo. The target for the future is to make Gozo a sustainable tourism destination by 2020. The laid-back island of Gozo, off Malta has much to offer from exclusive hotels to outdoor pursuits. But what's really new - green-focused tourism? Eco-Gozo is a concept which summarises the Government's vision for the future of the island of Gozo. The target for the future is to make Gozo a sustainable tourism destination by 2020. Eco-Gozo is an initiative with a clear vision - to transform Gozo and Gozitan society into a sustainable reality - through education, economic development and social progress. The aim of Eco Gozo is to protect the Gozitan lifestyle, the island's environment, resources, culture and identity, and see that all these play a significant part in attracting more visitors and investors to the island. Various initiatives have been introduced as part of Eco Gozo, including a new Eco-Schools programme, which focuses on Environmental Education and Sustainable Development for Gozitan school children. Gozo was chosen as one of the top ten sustainable destinations in Southern Europe by Quality Coast 2011 & 2014. The village of Xaghra in Gozo was a local winner European Destinations of Excellence (EDEN) Award 2015, previous winners include Nadur - Gozo (2007), Santa Lucija - Gozo (2008), Mellieha - Malta (2009), Senglea - Malta (2010) & Gharb - Gozo (2011). But what's really new - More outdoor pursuits? Gozo offers the perfect backdrop for activities to visitors of all ages and abilities. Popular activities include diving, cycling, walking & trekking, rock climbing, paragliding and a wide range of water sports from windsurfing, sea kayaking, kite surfing, dingy sailing and yachting. Diving/snorkeling - Gozo has been making a name for itself on the international diving scene, in particular Dwerja Point with its deep water (60m), many caves, tunnels and arches, wrecks and artificial reefs. Malta & Gozo were named 3rd best diving destination in the world at the London Awards 2016. Find out more about Diving and Snorkelling in Gozo. Cycling - Gozo in particular is a cyclist's paradise. Small enough to cycle in a day, the island offers different routes for all levels and it's the perfect way to explore hidden bays, archaeological sites and the fantastic panoramic views. Cycle hire is cheap and easy to organise on the island. Walking & Trekking - Gozo offers a range of walking itineraries along beautiful coastline and through the local villages. Small enough not to get lost, it's a great way to do your own thing and to explore the island's hidden gems. 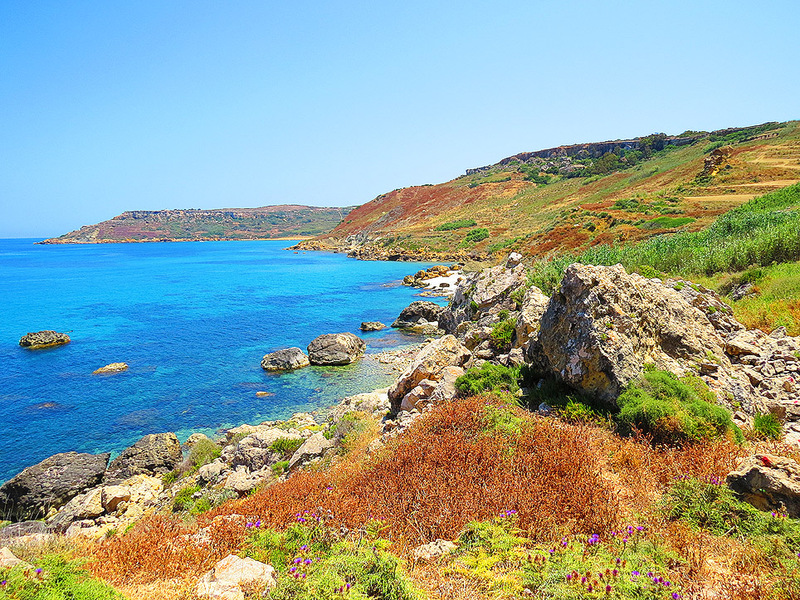 We have lots of recommended walking routes and area's to explore, click here for more info on walking in Malta & Gozo. Deep-water soloing - The exhilarating yet largely unknown sport of deep-water soloing - rock climbing above the sea with only your swimsuit and climbing shoes on - is growing in popularity on the island of Gozo. After a hard climb to the top, you stretch out, peel off and fall into the cool turquoise waters of the Mediterranean below. Climbing - The English army first developed climbing on Gozo in the 1970's however it has since been forgotten as a climbing destination until recently when sport climbers have been returning and opening new bolted routes within the inland limestone crags as well as on the stunning sea cliffs. These accessible crags, fantastic weather conditions and fascinating formations make Gozo perfect for climbers of all abilities. Abseiling - The dramatic coastal cliffs of Gozo are perfect for abseiling adventures and provide the perfect location to stop to admire the beautiful scenery. Patrol boat to be scuttled - timesofmalta.com. A disused Armed Forces of Malta patrol boat, the P33, has been scuttled outside Marsalforn bay in Gozor. The vessel has been scuttled at a depth of between 36 and 40 metres outside the Billingshurst Cave, by Reqqa Point, to the west of Marsalforn. Brian Azzopardi, from the Professional Diving School Association, said there were a number of reasons why the association and the Gozo diving community opted for the site. Primarily, this is the first wreck on the island's north coast. Gozo already has three wrecks on the south coast, which are inaccessible when the wind is blowing from the south and the east. "When a diving tourist is in Gozo with a limited number of days at his disposal, we try to vary their dives as much as possible. In case of adverse weather, this new wreck will be ideal." 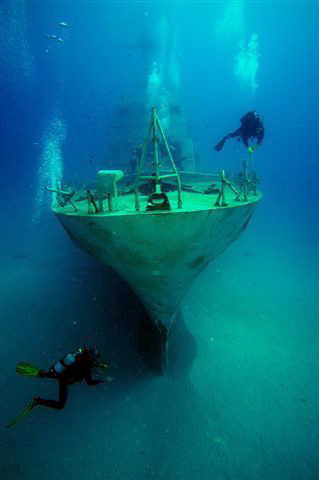 Visit our dive page where you can find out more about the various dive sites available around Malta and Gozo. The Archaeological Heritage Conservation Project is to see a visitor centre incorporating all amenities and interpretation facilities at the Ggantija Temples (a welcoming orientation point to the cultural resources on the Xaghra plateau). 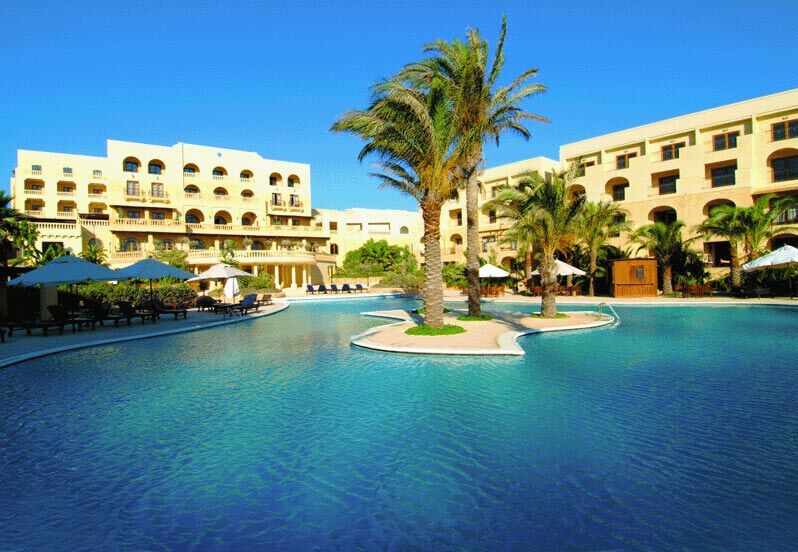 Best Coast - In 2011 Gozo was named one of the best 10 destinations among the 50 chosen by a jury which evaluated 500 coastal destinations in nine southern European countries. This was announced during the Quality Coast 2011 - Southern European Top 50 awards ceremony in Kouklia, Cyprus. Gozo Minister Giovanna Debono was presented with a certificate, which she said would be a valid tool in the advertising of Gozo as a tourist destination. Gozo again scored highly in the 2014 addition confirming its reputation for one of the best coastlines not only in Europe, but worldwide. What's different here than on Malta itself? Malta's sister island of Gozo is ideal for the discerning traveller and culture vulture who likes to explore and discover authentic lifestyles. Only a short ferry ride away, the island is much smaller, greener and quieter than main island Malta, yet still more than able to offer its visitors a once-in-a-lifetime experience. Gozo is dotted with traditional villages, long winding walks, secluded lagoons and caves, and characteristic farmhouses. The beaches are amongst the safest in the Mediterranean, with warm temperatures and calm waters year round - making it a preferred destination for families. 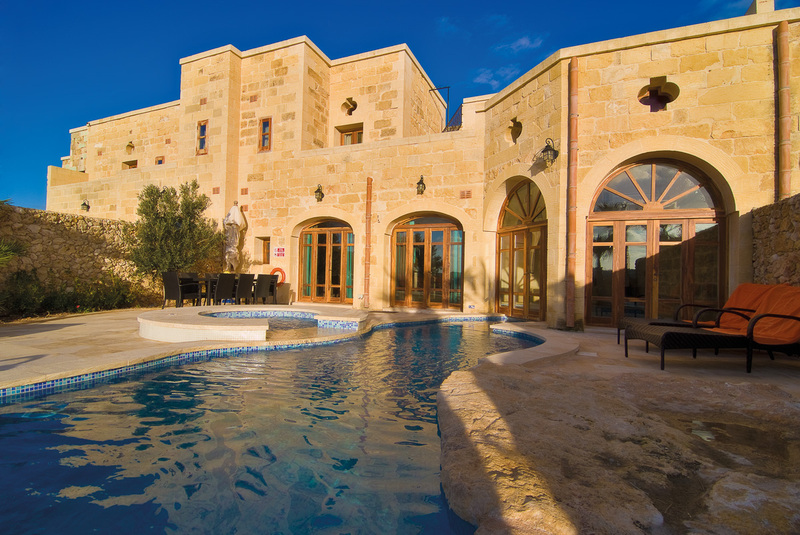 Accommodation on Gozo varies from authentic farmhouses and luxury villas to five-star hotels and spas, catering to all needs and budgets. Victoria - Also known by locals as 'Rabat', Gozo's main town Victoria boasts a fortress town known as the Citadel, with myriad stories to tell and the site of the island's Baroque Cathedral and numerous museums. Victoria's citadel served as a sanctuary from attack for years and is one of the best places for sweeping views of Gozo. Dwejra - Dwejra boasts one of the island's most beautiful coastlines and celebrated landmarks including the Fungus Rock and the Azure Window, which unfortunately collapsed in March 2017 but still makes for a fantastic dive location. The area is a new marine protected area and is perfect for snorkelling and diving, and the cliffs are etched with walking paths offering breathtaking panoramic views. Ggantija Temples- Ggantija Temples are the oldest freestanding structures in the world, predating the Pyramids of Egypt by some 1,000 years. This UNESCO World Heritage temple site offers a glimpse of a very complex and organised civilisation that lived on the islands some 3,500 years ago.